A cross-country bicycle trip is the last thing on Meg Albertson’s mind as she struggles to get through the first Christmas after her husband’s death. But Robert, her husband, attempts to control her even from the grave. On DVD, he dictates a plan to liberate his ashes and reunite Meg and her estranged son Josh. If they do accept the extraordinary challenge, can Meg and Josh survive a summer of togetherness without killing each other? 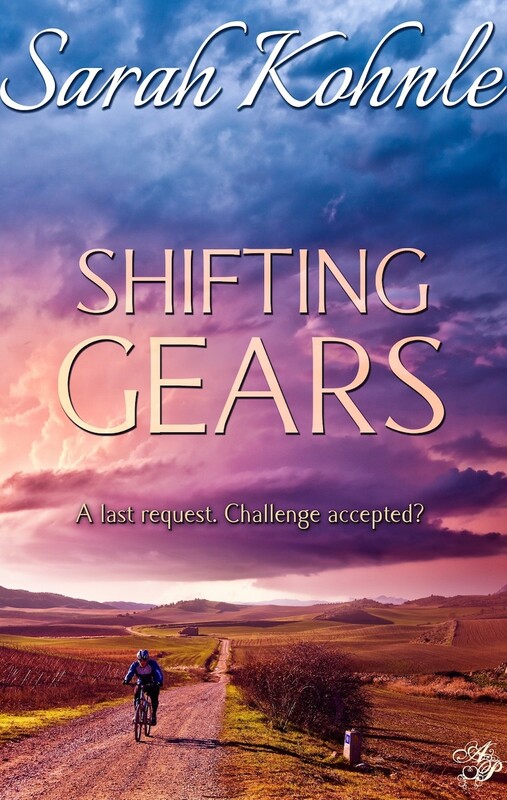 SHIFTING GEARS by Sarah Kohnle, available online now on Amazon, iBooks, Barnes and Noble, and through the publisher at astraeapress.com.